On this day in 1988, Roseanne, a television sitcom about a blue-collar American family starring the comedienne Roseanne Barr, premieres on ABC. The show was considered groundbreaking for its realistic portrayal of a working-class family and the issues they faced. Barr’s portrayal of the loud, abrasive, overweight Roseanne Conner was a sharp contrast to the stereotypical TV housewife in the mold of Leave It to Beaver’s June Cleaver and The Brady Bunch’s Carol Brady. The show was an instant ratings hit, airing for nine seasons, collecting numerous awards and turning Barr into a big star. 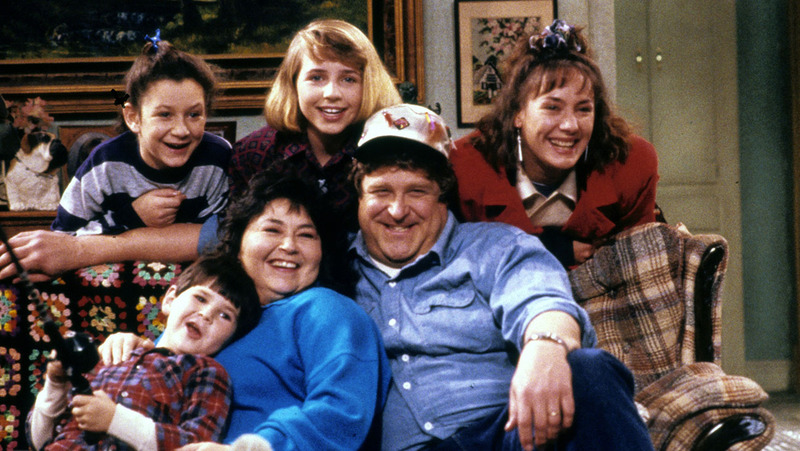 Roseanne was set in the fictional town of Langford, Illinois, where the wisecracking Conner lives with her husband Dan (played by John Goodman), daughters Becky (alternately Lecy Goranson and Sarah Chalke) and Darlene (Sara Gilbert) and son D.J. (Michael Fishman). Roseanne’s younger sister Jackie (Laurie Metcalf) is also a prominent member of the family. The show featured a large cast of supporting characters, which over the years included a young George Clooney (as Roseanne’s boss Booker Brooks of Wellman Plastics), Estelle Parsons (as Roseanne and Jackie’s mother), Shelley Winters, Martin Mull and Sandra Bernhard, among others. Roseanne Barr was born on November 3, 1952, and raised in Salt Lake City, Utah. She began doing stand-up comedy at clubs in Denver and used her experiences as a wife and mother of three children as fodder for her routines. She became known for using the term “domestic goddess” to refer to a housewife. By the mid-1980s, Barr had risen to national fame, and in 1988 her self-titled TV show debuted on ABC. During her years on TV, the outspoken Barr became a tabloid target, and her family, personal appearance and romantic relationships were all heavily scrutinized. Barr was married to her second husband, the actor Tom Arnold, from 1990 to 1994. From 1995 to 2002, she was married to Ben Thomas, who worked as her security guard. In June 1990, Barr stirred up controversy when she performed a screeching, off-key version of the “Star Spangled Banner” at a Major League baseball game in San Diego. After her song, she spit and grabbed her crotch in what she said was a humorous imitation of baseball players. She was heavily criticized for the incident, which was later parodied on multiple occasions, including by Barr herself. The final original episode of Roseanne aired on May 20, 1997. Barr went on to host her own talk show, from 1998 to 2000, and has subsequently been involved in a variety of film and television projects.